Financial products specially tailored to the way consumers prefer to pay, budget and gift. 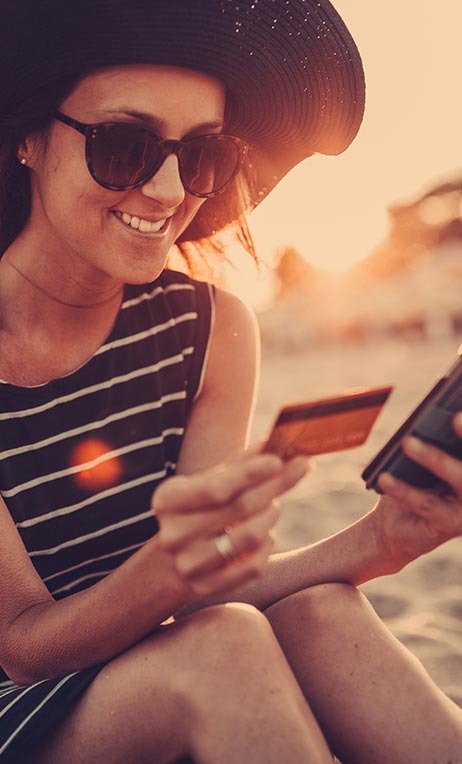 For a variety of reasons, like privacy and budgeting, consumers are seeking out alternative methods for their everyday financial needs outside of traditional banking. By offering alternative financial tools, you will be reaching the generations of consumers who feel more comfortable paying, budgeting and gifting with prepaid or paying for bills in cash, and they will thank you with repeat visits. Empower them to pay their way. We have a spectrum of financial products and services that cater directly to today's consumer including innovative bill pay options, quick cash digitization, easy-to-load prepaid cards and consumer-favorite gift cards, allowing them to take part in everyday commerce however they choose. With some of the most popular brands in the industry like Vanilla® and American Express®, our financial products are favorites among consumers of all kinds. By meeting various needs, these products and services have become financial tools that consumers rely on every day. We continually support all of our financial products with best-in-class, comprehensive services. Our robust platform and services offer the flexibility to meet your evolving business needs. Through a single API connection to our platform, you can access all prepaid has to offer. Our products and services are built on a foundation of innovative technologies that ensure they will continue to serve your consumers. Give your cash-preferred customers the ability to reload their prepaid cards and pay bills conveniently at your register.